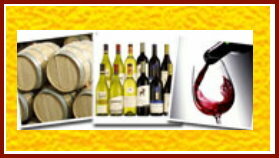 2011 LA Wine Festival® is set to bring the best of Los Angeles dinning scene together with the world of wine. Get ready for a culinary delight and the largest wine fest Los Angeles has ever hosted. We have brought you the best and the largest wine, beer and spirits festivals in LA and now we will bring the largest food and wine festival to the #1 city. An event filled with the world top Beer, wine and spirits along with the best food Los Angeles restaurants offer. Join us on for a 3 day Wine & Food festival featuring the #1 Cigars, Spirits, Wines and great food form all over the world on September 15, 16, & 17 a celebration of Wine & Food in California. The event starts in Los Angeles and continues to Paso Robles over 3 days of great fun celebrating our 11th event. Tradeshow booths and private tables are now available for business / private parties. Experience the world of Beer, Wine, and Spirits with the best event company in all of Southern California. Join us as Barcelona Enterprises presents the 2011 LA Wine Festival, the seventh LA Wine Festival. The Los Angeles wine festival is a taste of the best wines California has to offer. You can also join us for the Malibu Food and Wine Festival this June or the LA Oktoberfest You can also join us at the Food and Wines festival . if you are a beer lover come to the Bock Fest & the ultra luxurious Beverly Hills Wine Festival .